Getting dressed in the morning can be a minefield as we struggle with mismatched clothing and bursting wardrobes. It’s very easy to get overwhelmed by tons of clothes and to just keep picking the same old boring outfits to wear. When I became a mum I noticed that I barely wore any of the clothes I had stuffed in my closet. Knowing where to start and how to make a capsule wardrobe can be daunting, in this post, I will show you how to build and organise your spring summer capsule wardrobe and polish up your own personal style. In this post, we will talk you through the first steps you need to follow to start building a wardrobe capsule for summer. If you’re wondering which essential pieces you should be keeping in your wardrobe click here, after reading which basic essentials you need in your own capsule wardrobe read how to choose a colour palette for your closet in this post. Before you start building your summer capsule wardrobe pieces you will need to put all of your winter items into storage. But first, let’s consider how we shop for clothes. Most successful capsule wardrobes contain clothes which easily fit into each season in your capsule wardrobes, for example, a chambray shirt, vest tops or t-shirts, cardigans and a dress are other examples of clothes which transition well through the seasons. You are going to start by taking everything out of your wardrobe and only putting back what you need, what fits well and what you love. If you’re struggling to find the motivation to declutter read this post first! Take everything out of your wardrobe including bags accessories and shoes. We will be heading towards making a wardrobe which is both winter and summer compatible, I shall be doing a separate post on that at a later date. So, for now, empty everything onto your bed. Now is a good time to assess clothes that haven’t been worn, that are uncomfortable, don’t make you feel a million dollars or anything that you don’t love. If it fits any of those categories donate it immediately! I like to use disinfectant to give it a fresh smell. make sure you dry the area well. We will be trying to create a capsule wardrobe which can transition from winter to summer and back again. but for now remove things like chunky jumpers, coats, heavy jackets and boots. Wash all clothes going into storage, but don’t iron them, as you’will be ironing them when you take them out of storage next winter! Place all your winter clothing in storage if you have space. If you are short of space move them to the least most accessible part of your wardrobe such as the top shelf. Make sure to put it all away in a clean, dry place. Empty everything onto your bed. Now is a good time to donate clothes that haven’t been worn, that are uncomfortable, don’t make you feel a million dollars or anything that you don’t love. If it fits any of those categories donate it immediately! Assess all your summer clothing. Go through each item the same way you did before with your winter clothes and follow the same process. Do you love it? Does it fit? Does it make you feel fabulous? Did you wear it last year? If not donate it straight away! Now is the time to get rid of those shocking pink denim shorts that you last wore three summers ago! Who says capsule wardrobes need to be dull? By choosing one splash of colour to add your summer capsule wardrobe it helps to brighten up your basics. if all your clothes follow a similar colour palette you will be able to match all your outfits together all the time. Follow the rules in this post when choosing a splash of colour for your closet. Make sure any clothing being returned to your summer capsule wardrobe fits within the four colours you have chosen. If it doesn’t contain the four chosen colours donate it! you can build your own wardrobe of summer clothes from the clothes you already own , you do not need to buy any new clothes unless you have gaps in your essentials. Assess the gaps in your wardrobe capsule, think about the key items which would complete your outfits. Write them down and keep in your purse so you buy things you need rather than impulse bargains next time you shop. Keep your summer capsule wardrobe clutter free. You should now have heaps of space to view your summer capsule wardrobe and you should be able to create many more outfits with the clothes you have kept. Maxi dress, this is a versatile piece which can switch from daytime to evening wear very easily so it also makes a great item for your holiday wardrobe. Shorts, choose wisely for you age, make sure your shorts are classy and comfortable. Pair with a fabulous pair of wedges and a long cardigan for a cool 60’S vibe. Shorts are also great for wearing in the winter with thick woolly tights, boots and a slouchy jumper in the winter and are a good staple for your spring capsule wardrobe. Cardigans, I prefer to keep a cardigan in my winter and summer capsule wardrobe simply because they transition into all seasons well, and are better for layering than a chunky jumper. Denim jacket can be great for popping on top of a day dress for that super casual summer look, it can also work well with a jumper in the autumn months. I find that a denim jacket in the current seasons colour is a great staple for your capsule wardrobe for summer. Skirts work well at transitioning from day to night wear and are versatile pieces from your summer capsule wardrobe to take on holiday, they are also great for wearing will woolly tights in the autumn months. Day dress. Day dresses are so versatile to have in your summer capsule wardrobe as they really can be worn for most occasions, you can make them grungy or pretty them up depending which shoes and accessories you choose to wear. Day dresses are also a great staple for your winter capsule wardrobe. Cropped jeans, these are stylish worn with a longer shirt or cardigan and a slouchy vest top for a super casual summer look, they also look great in the winter with a pair of dr Marten boots for an edgy winter look! Remember to shop within your four chosen colours. Stick to this rule when shopping for clothes and you will find shopping so much simpler. Patterns should only include your chosen colours! 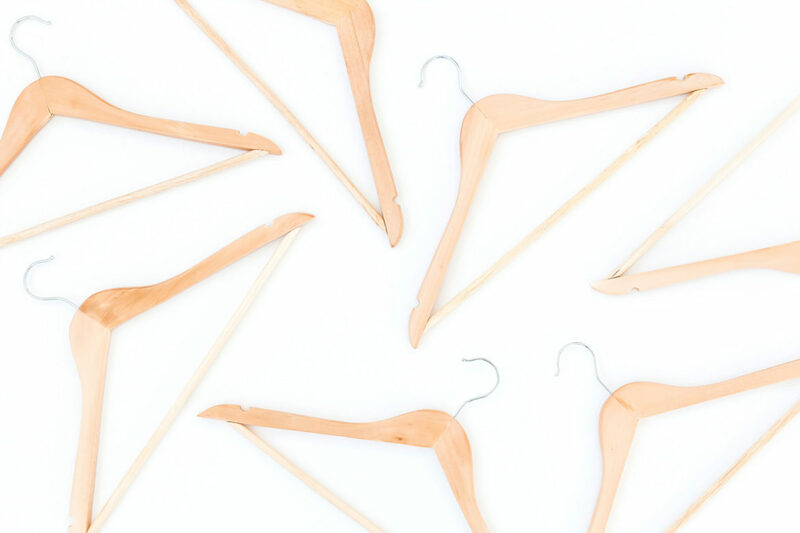 You will always be able to quickly put an outfit together if you follow these steps to creating a capsule wardrobe as everything will always match. If you’re looking for tips on how to build a capsule wardrobe for your kids read this post! What is a summer capsule wardrobe? A summer capsule wardrobe is a closet which contains only a few key items which work well together to create many stylish outfits. The key to the concept of a capsule wardrobe is own fewer clothes but to chose clothes within a limited colour palette so each item matches every other item in your closet. What should I consider for my basic summer wardrobe? The first thing to consider when setting up a summer capsule wardrobe is where you spend the majority of your time. If you work in an office then your clothes will need to be suitable for the office, but if you’re a stay at home mom with small children your key pieces will lean towards comfort and practicality. You should consider buying clothes which will transition through all seasons and you should search for quality items rather than bargain basement clothing. the aim in creating a capsule wardrobe is to wear your clothes until they are worn out rather than because they are no longer in fashion. If this makes you feel uneasy remember you will be only keeping clothes you love wearing! What is it like having a capsule wardrobe? Capsule wardrobes are fantastic as they enable us to get dressed more quickly. when you do get dressed you are confident in your clothing choices and always look well turned out. you save money on clothes shopping and find it easier to purchase clothes. you have more space in your wardrobe and you can see exactly what you have to wear without having to rummage. Which apps are best to organize a capsule wardrobe? You will find that as you start to streamline your clothes and stay within the four colour rule, your summer capsule wardrobe will stay organised and you will not have the need for an app to stay organized. you will have fewer clothes to keep track of and you will be able to see all your outfits easily. As long as you are not buying more stuff, your capsule closet should stay neat tidy and well organized day to day. If you need help knowing how to stop buying stuff you don’t need, read this post next. What is in your wardrobe? Good question! My wardrobe is fairly casual as I am constantly on the move with my very active 7 year and 11-year-olds. My basics colour palette consists of navy, grey and black and for my pop of colour, I have chosen red. Vest tops leggings and a plaid shirt are what you’ll find me wearing around the house and I’ll throw on a tunic if I’m popping out. I have a couple of dresses for going out for meals etc. My choice of shoe is either converse, doc martens or wedges. I like to be comfortable and casual as much as I can. I also have a couple of running tops and pants and of course my work clothes which need to be a uniform but very comfortable. I have one coat for the school playground and one coat for going out. Sign up to our regular updates a get the exclusive code to our resources library packed full of free printables and checklists! How To Find The Motivation To Declutter.